Composer and bass player Antoine Fafard (ex-Spaced Out) returns with his second solo instrumental effort, Occultus Tramitis, literally 'hidden track.' The album essentially picks up from his debut Solus Operandi, featuring some very interesting and entertaining jazz rock fusion. And once more he gets help from some outstanding musicians in the genre. These include Terry Bozzio (Jeff Beck, Frank Zappa), Jerry Goodman (Mahavishnu Orchestra), Gavin Harrison (King Crimson, Porcupine Tree), Scott Henderson (Tribal Tech), Simon Phillips (Jeff Beck, Toto), Chad Wackerman (Allan Holdsworth, Frank Zappa) and Dave Weckl (Chick Corea, Mike Stern). One curious thing about Fafard is that he composes this material on classical guitar, but then performs mostly on fretless bass, with the former popping up on only a few songs. Excepting Funkevil, where Fafard performs, most electric guitar work is passed to a guest. 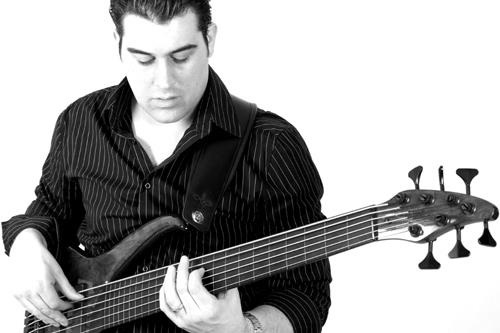 There's no questioning Fafard's imagination, gift for composition, and skill on the bass guitar. He's the dynamic and principal force throughout the songs. That is except when he's being upstaged by other musicians. One of those is violinist Jerry Goodman who single handedly wrests the intensity of Peace for 4, 13 Good Reasons, Holding Back Time, and Metamorphosis from Fafard's own magical hands. He reminds of a rabid mash up of Jean-Luc Ponty and Nigel Kennedy. Another player bolstering, or hustling, Fafard's arrangement is saxophonist Jean-Pierre Zanella who inspires on both 13 Good Reasons and Sum of Six. Then there's drum duet of Magella Cormier (right side) and Martin Maheux (left side) which captures your attention first on Metamorphosis This is not something novel for Fafard as he's done the double drum thing on his previous album. But, fundamentally, it all returns to Fafard who plays his bass with vigor, sharpness, and color. But neither his bass nor these arrangements would sound quite as good without allow those aforementioned additions and nuance. The music rather striking, clever, and entertaining. Easily recommended. 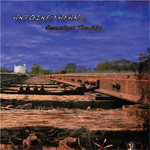 The progressive rock/jazz fusion of Antoine Fafard's Occultus Tramitis is rather striking, clever, and entertaining thanks to some superb supporting artists.